Harness the power of herbs to boost resilience, stamina, and brain function! Adaptogens are a unique class of herbs that greatly improve your body's reaction to emotional and physical stress while increasing your energy, stamina, endurance, and mental clarity. Recent studies support what practitioners of Indian Ayurveda and traditional Chinese medicine have known for centuries--these herbs including Rhodiola, ginseng, licorice, and more--and have positive benefits on wellness and are safe for long-term use. 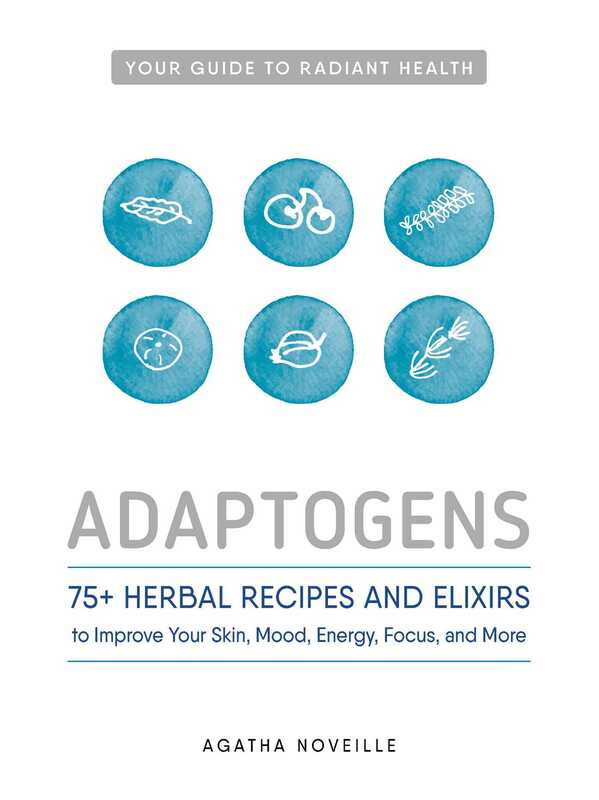 Whether you're interested in honing your mental abilities to a razor-sharp level, want to give your athleticism a boost, or are looking for ways to improve your healthy lifestyle, adaptogens have so much to offer for everyday well-being. In Adaptogens, popular wellness blogger and herbalist Agatha Noveille reveals the secrets to vibrant health and natural healing--without the use of conventional drugs. Inside, you'll learn about the health and wellness benefits of twenty-three adaptogenic herbs, including Rhodiola, Ashwagandha, Maca, He Shou Wu, and Holy Basil. You'll also find more than 75 recipes for potions and remedies to improve sleep, mood, mental focus, immune function, stamina, and for general wellness and beauty. These all-natural, safe remedies fight the effects of chronic stress, while restoring your body’s balance, health, and vitality. Agatha Noveille is the founder of the Common Branch Herb School, a grassroots herbal classroom that promotes herbs as a way to safeguard community health and resilience. In addition to writing her own blog, The Independent Herbalist, Agatha is part of the writing team at The Herbal Academy. She writes regular posts for The Survival Mom blog, and has contributed articles to a variety of magazines and periodicals, including MindBodyGreen.com and From Scratch magazine. She lives in Dalton, GA.
What Are Adaptogens and How Do They Support Wellness?